The Supermiata parts brand was founded by Emilio Cervantes in 2006. My first exposure to the car was as a product manager and sales associate at Rod Millen Motorsport in 1990. Being closely allied with Mazda Motorsports, we were developing various performance parts for the platform before the car was released to the public. The first turbocharged Miata in North America sat next to my desk in the showroom. We developed the first nationally competitive CSP Miata in 1991, winning some Divisional events with me behind the wheel. Years past by while I began working with other platforms. In 2003 I circled back to the Miata and began focusing on track performance. This led to our first performance part, the now iconic 15x8 6UL wheel under the 949 Racing brand. Around 2008 we started Team 949 Racing to road race with a focus on endurance events. That led to a long string of race victories, lap records, national championships and two class wins at the 25 Hours of Thunderhill in 2011 and 2012. In 2013 we created the Supermiata Race Series on the west coast. In 2017 we built what is arguably the fastest track Miata ever built. We call that car Bullet. 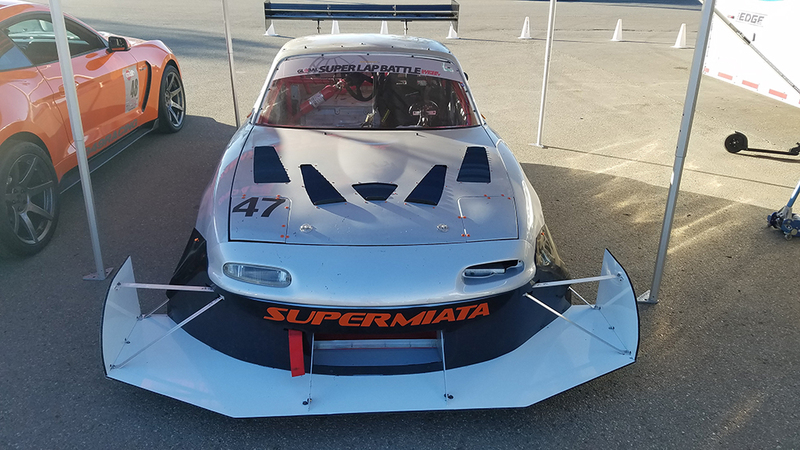 In 2018, World Racing League licensed the Supermita race format to bring the series to a national audience. We love the Miata platform and will continue to be at the forefront of development for it. For those new to the Miata platform, you may not know that we made 15x8 +36 into what is now a standard size. We released our 15x8 +36 in 2006, the 15x9 +36 in 2007. Later years saw our 15x6, 15x7, 15x7.5, 15x10, 15x11 and yes a whopping 15x12. Before our 15x8 6UL, there were no inexpensive 15x8 wheels in the correct offset that were specifically optimized for the small car 4x100 PCD. The original 6UL was designed expressly for the 4x100 pattern. You'll notice the center hub area is not large enough for a larger 114.3mm pattern. This is because no compromise in the 4x100 optimization was made to accommodate the larger pattern. A 4x114.3 also has a minimum allowable load capacity about 20% higher than a 4x100. This means the 6UL would have needed to be 20% heavier than we needed for 4x100. This idea was something new in 2006. We're flattered that so many of our competitors took our lead and began developing 4x100 specific 15" wheels, many in the exact same size and offset as ours. We innovate, others copy.